Appliances that are unpredictable can pose a significant risk to your home and your safety. Kitchen appliances can make our lives easier and save us time. We rarely think about these appliances as a potential danger or hazard that we keep in our kitchens. But for some people that has become a reality. Microwaves are a major convenience for most families, providing time saving energy. But microwaves also pose a significant hazard that most families who benefit from microwave use underestimate. The construction of microwaves has developed over time, becoming more and more efficient. Nowadays it is less likely that your microwave will leak radiation, but it is still a possibility. If this happens there is a risk of injury. Your eyes or skin can be burned if they are exposed to a leak. But microwaves can also be dangerous in other ways. You can burn yourself if you heat your food or drink for too long, but that can easily be avoided by heating food or drink in shorter increments of time. If you think your microwave is leaking, you can replace it. If your food is too hot, next time you know not to heat it as long. But some microwave hazards are completely unexpected and impossible to avoid. Incidents of microwaves emitting sparks, bursting into flames, and turning on by themselves, have all been reported. Several microwave owners joined forces to file a class action lawsuit against General Electric in 2009. According to the lawsuit, some GE microwaves, especially the Spacemaker line, tended to burst into flames without warning. This has happened across the country since 2003, but GE has admitted to receiving reports but believes the incidents to be rare enough that the problem is not a systemic failure. There has been no federal investigation. Reports of microwaves that turn on on their own have not been limited to one manufacturer, however. Owners of different brands of microwaves have reported that their microwaves have turned on. There have also been reports of Emerson model microwaves that have sparked inside while the microwave is in use. Microwaves should not be turning on on their own or emitting sparks. This is dangerous and a fire hazard. As of right now there is not enough information regarding the number of reported incidents for The Consumer Product Safety Commission to report. But the Commission has issued 70 reports about KitchenAid microwaves starting fires and other unsettling incidents. Of these cases, 41 were instances where the microwave started a fire when it was not in use. If you have problems with a microwave, unplug it immediately. Be familiar with what circuit breaker will turn off in the event of an emergency. You should have a technician look at the machine and contact the manufacturer. If you have questions about a case or have a report of microwaves or other products that are defective or dangerous, contact a personal injury attorney with experience handling product liability cases. Appliances that are unpredictable can pose a significant risk to your home and your safety. When a microwave leaks radiation it can be very harmful. 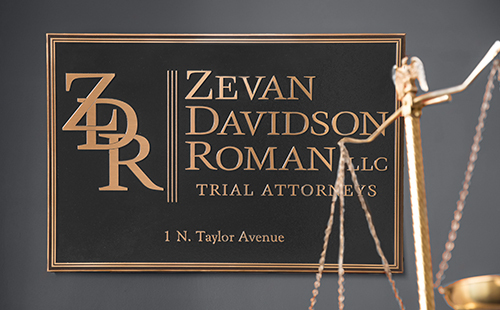 The Zevan and Davidson Law Firm has over 20 years of experience in handling product liability cases. Contact us by calling (314) 588-7200 or fill out our online contact form for a free and private consultation about your case.